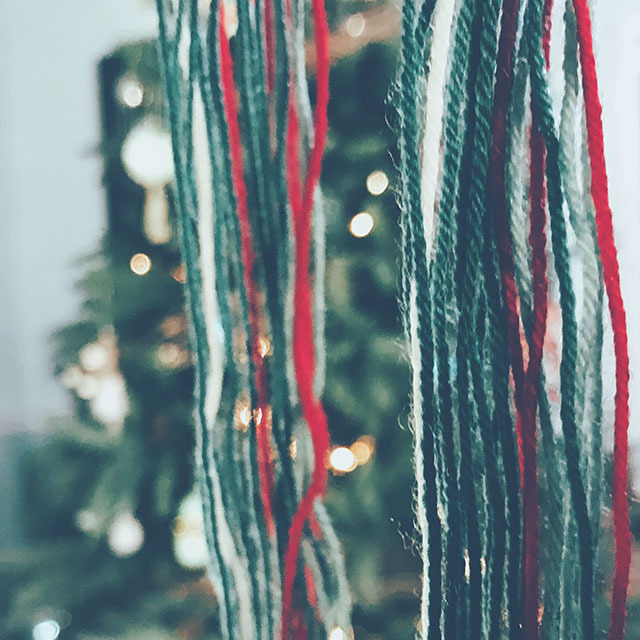 I have a few Christmas yarns in my stash, but all of them were debatably Christmasy. 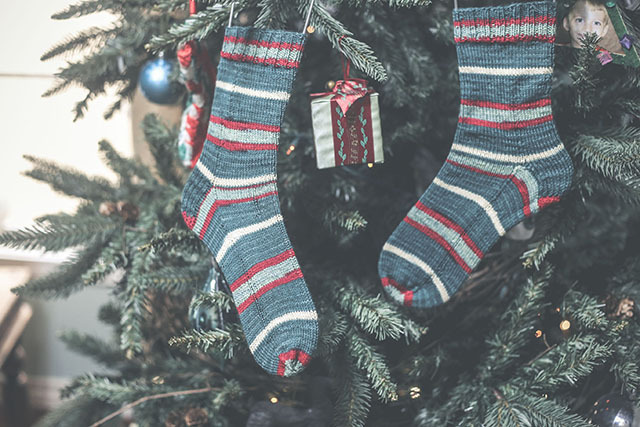 You know, they were great colorways- some with vintage pastel speckles, one with movie -inspired stripes, but they'd never make someone say, "Aw, you're wearing Christmas on your feet!" And don't we all long to hear that at some point in our lives? Well, my day is coming. 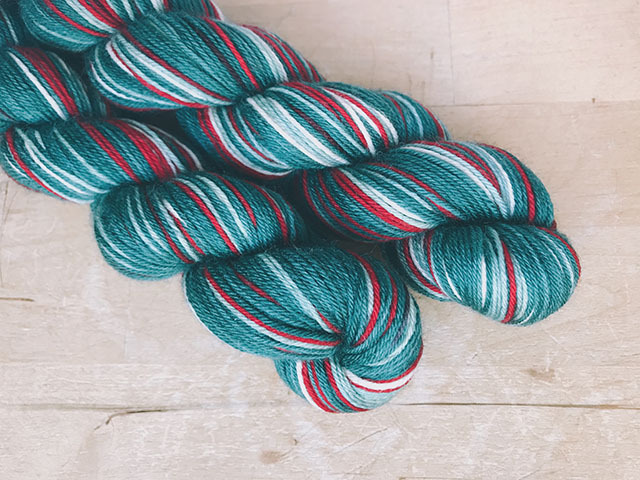 This yarn from Turtle Purl Yarns is unmistakably Christmasy. (Excuse me, you have to say that word, "Kwithmathy" with a lisp. I'm not sure why, I just have to do it.) When I wear these, next year, everyone will know I am big on Christmas. 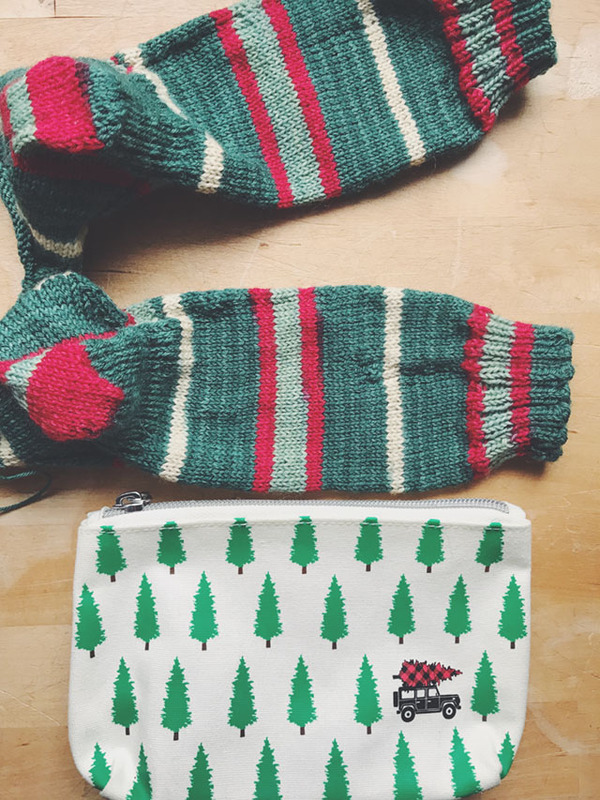 Details: I knit these socks with size 0 needles and TurtlePurl Yarns in the Mistletoe Kisses colorway. 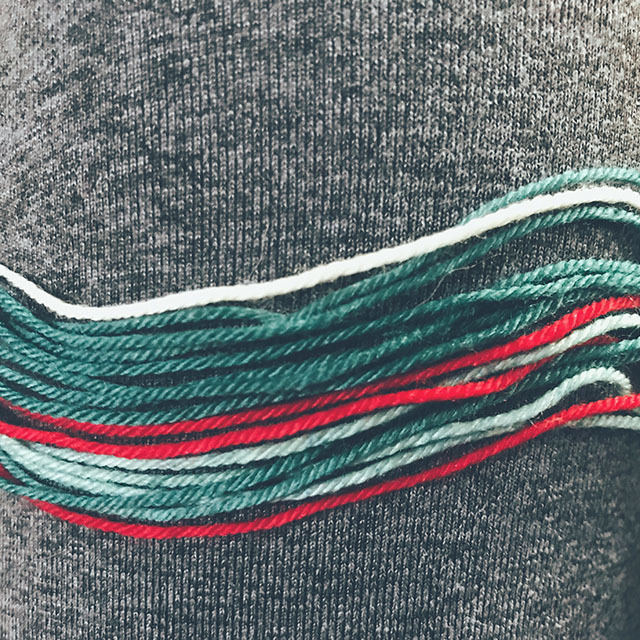 I wanted them for the minty, green stripe that interrupts the usually green and red palette. I was pleased to see they came in two, identical mini skeins so that I could have a matchy-matchy Kwithmath! I started out knitting the socks individually, then decided to start another sock and put them on a large needle for two-at-a-time Smooth Operator socks. When I remembered I didn't have a contrasting yarn for heels, I was like, "meh. Why botha?" and went with a traditional heel flap and gusset. The fact that the heel flap on each one is solid green is accidental, but cool. I did use the rounded toe from the Smooth Operator pattern, though. I do find that I need good light and focus to do this without dropping stitches. 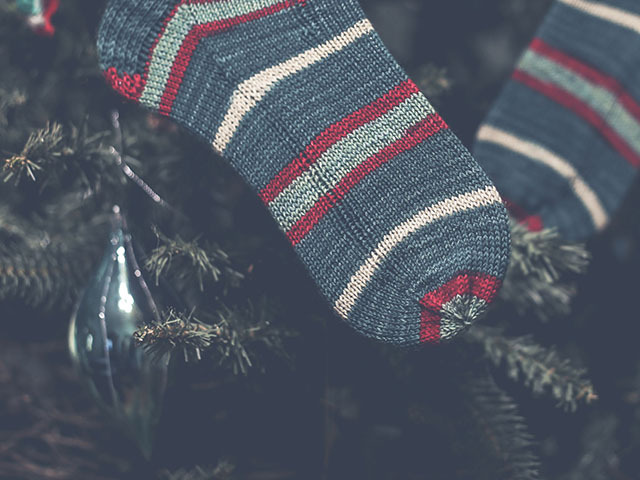 When I did a Box o Sox in 2016, I finished two or three different socks just to find I'd dropped a stitch during the rounded toe process. I didn't block them for these photos, so my magic loop ladder is obvious, but I just wanted to hurry and wear them while I had the chance. They are finished and beautiful and I'm staring at them now while wearing a cotton blend sock because, alas, it turned warm again. That's okay, I didn't expect to have my glorious Christmas Sock Reveal until next December anyway.